The Model KN is a secondary regulator designed for maximum sensitivity and simple, trouble-free operation. It is suitable for use with low pressure Natural Gas and vaporized LPG. 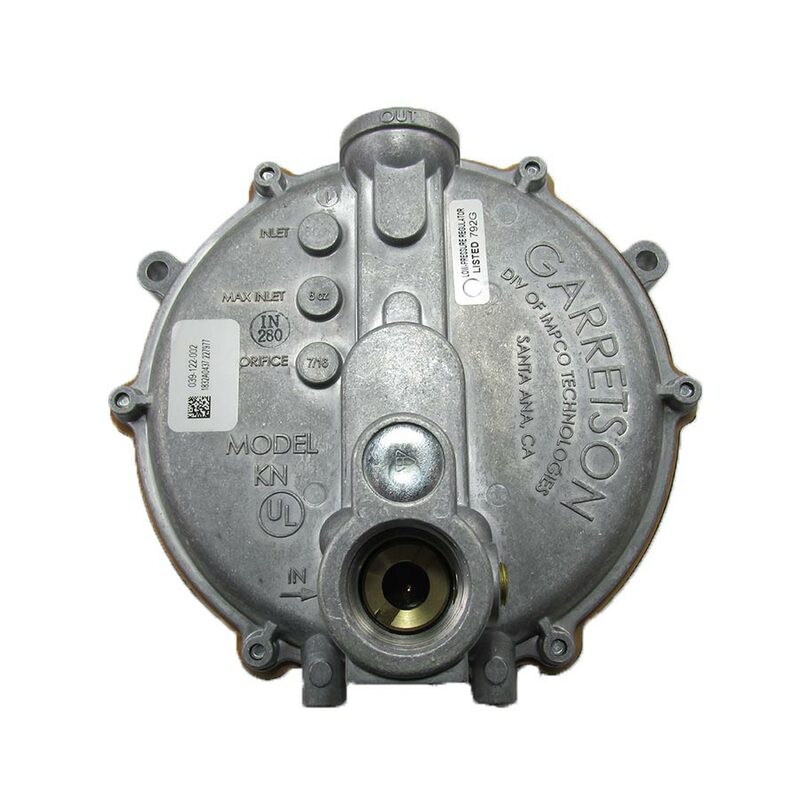 This regulator is typically used in service applications up to 30 kW (40 HP). A new high-flow capacity unit is also available with a ½” orifice, suitable for service applications up to 37 kW (50 HP). The KN regulator may easily and quickly be refurbished with the appropriate IMPCO repair kit. This KN is the same as 039-122 except the sensitivity is set at cracking pressure for easier starting. Mounting Position As close to the carburetor as possible with the arrow on the back cover pointing up to minimize the effects of gravity on diaphragm travel. Horizontal position can be used when fuel contamination can be controlled with HD-5 or HD-10 specified LPG fuel. The Model EV is two-stage regulators for vapor fuel applications where vaporization is not required. Diagnostic test ports are standard for both the primary and secondary pressure chambers, and a choice of diaphragm materials are available. The EV comes with the standard “B” (blue) spring and an optional “O” (orange) spring is also available.